Drivers in New Jersey who are stopped by law enforcement on suspicion of driving while intoxicated (DWI) need to be aware of the entire scope of procedures that an officer will undertake when conducting the investigation. It might be common knowledge that a breathalyzer test is given to determine blood alcohol content (BAC), but drivers might not know that a blood test can also be conducted to get another reading along with the breath test. There can be multiple reasons for this to be done. If a police officer sees a motor vehicle moving erratically, breaking traffic laws, swerving or making dangerous maneuvers, a traffic stop on suspicion of DWI can be made. It is important that the officer have just cause for making the stop or the entire investigation could be compromised. Once the stop has been made, the officer will investigate the driver. This will include asking for the driver’s license, registration and proof of insurance. While the officer interacts with the driver, there will be a search for clues as to whether or not the driver is under the influence. If there is slurred speech, bloodshot eyes or the smell of alcohol coming from the driver, these are telltale signs that he or she has been drinking. After the possibility of DWI has been established, the officer will then ask the driver to submit to field sobriety tests including the Horizontal Gaze Nystagmus, Walk and Turn and One Leg Stand. If there is still a belief that the driver is committing a DWI, a breathalyzer test will be requested. Drivers might think they are within their rights to refuse to take the breathalyzer for fear it might incriminate them, but that is not the case. Choosing not to take the test when asked to do so by a police officer will result in a charge of Refusal. This is true even if the driver has not been drinking or was far below the limit of 0.08% blood alcohol content (BAC) to warrant an arrest for DWI. 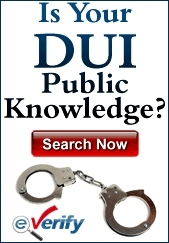 A conviction for Refusal carries with it similar – and sometimes worse – penalties for a DWI conviction. After the officer gives a breathalyzer test and finds that the driver has surpassed the legal limit of alcohol in the system, an arrest will be made. In some instances, the driver will be taken to the hospital so blood can be drawn for another measuring device of BAC. Why Would A Blood Sample Be Taken? In general, the breathalyzer test is used most frequently to measure the BAC. However, the blood test can be used as well. 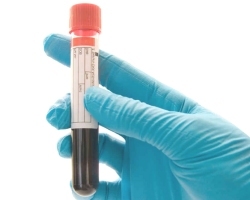 A blood test will often be taken if a serious motor vehicle accident has taken place. When an accident occurs, the officers will arrive to help the victims. While they are investigating, they might see evidence that one of the drivers was committing a DWI. If they have probable cause, they can make an arrest. If, however, the driver has been injured and cannot take a breathalyzer test, a blood test can be used instead. When at the hospital, the officer will request that the medical personnel take two samples of blood that will be preserved with chemicals and kept in clearly marked vials as evidence. If the traffic stop is not due to an accident, but was made because the officer suspected that a driver was committing a DWI and the driver refuses to take a breathalyzer test, the officer can take the suspect to the hospital for blood to be drawn. Drivers will usually agree to have their blood drawn at the hospital even if they have refused to take a breathalyzer test. In some instances, they will resist having their blood taken. An attempted blood test is not like a breathalyzer test in that there are clear penalties for refusing to allow blood to be taken. That said, drivers are not legally allowed to refuse to have blood drawn either. Because of that, officers are allowed to restrain a suspect at the hospital so blood can be drawn. This is not viewed as a violation of the driver’s rights. Defense attorneys for a driver who has been charged with DWI based on blood tests will likely use the same types of techniques that would be used with a breathalyzer test and field sobriety tests as evidence. If the blood wasn’t drawn after an accident but as a conventional DWI stop, they will call the traffic stop into question by asking if it was justified. If it wasn’t, the entire case could be called into question. When there are field sobriety tests and a breathalyzer result used as the foundation of a DWI case, the defense attorney might make sure that the procedures were followed when conducting these tests. If the field sobriety tests were not given on even ground, the fairness of these tests could be called into question. With a breathalyzer test, drivers are required to have been observed for 20 minutes prior to the test being given so the DWI test results will not be inaccurate by the driver having smoked a cigarette, chewed gum or regurgitated. When it comes to blood tests, there is always the possibility that the chemicals that are placed in the vial might not have been measured accurately. In some instances, the vials are mistakenly labeled or mixed up. While drivers are not able to refuse to take a blood test if they’re transported to the hospital for one when they’re suspected of DWI, there are viable defenses even if the results are unfavorable to the driver’s proclamations of innocence.